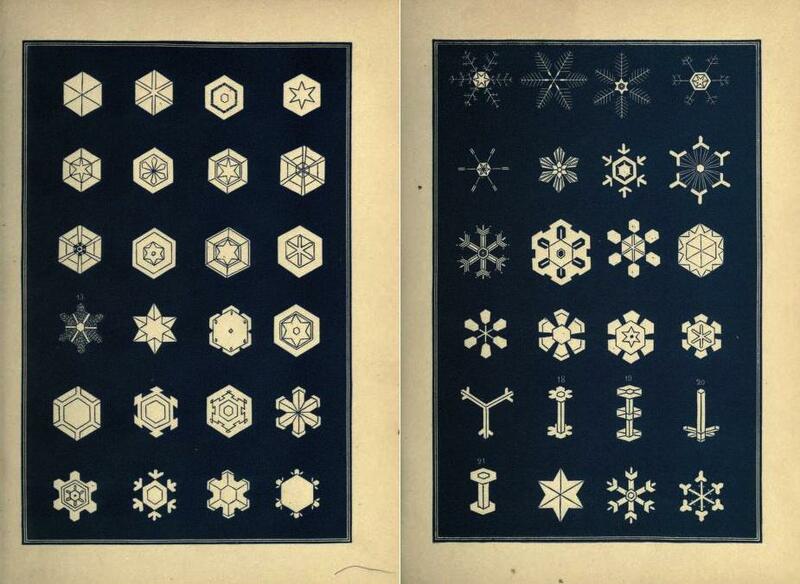 History of snow: Victorian appreciation of snowflake shapes. 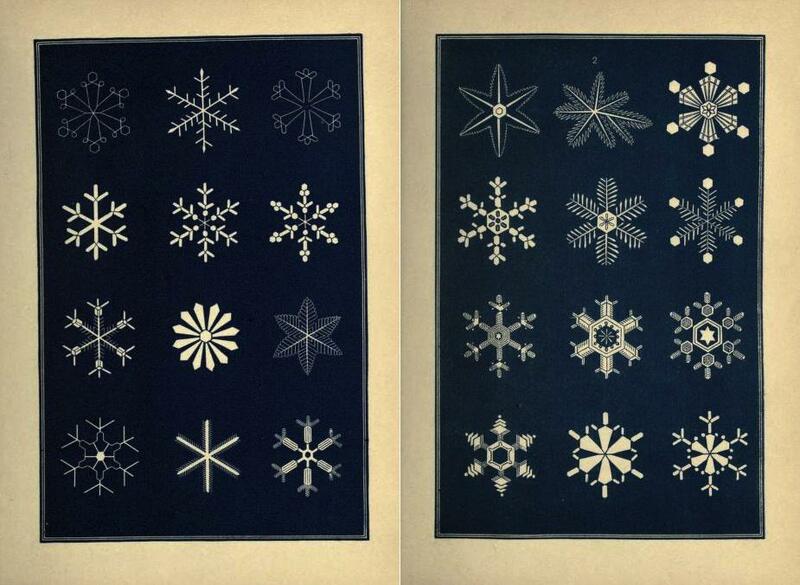 These plates, cataloging the geometrical forms of snowflakes, are from an 1863 book called Snow-flakes: A Chapter from the Book of Nature, published by the American Tract Society in Boston. I first saw the images on the Public Domain Review. The tract’s authors credited earlier artists’ renderings of snowflakes in their preface, writing that the work of three such illustrators—the 18th-century Dutch physician John Nettis, the early-19th-century Arctic explorer William Scoresby, and their contemporary, British astronomer and meteorologist James Glaisher—formed the source material for their engravings. 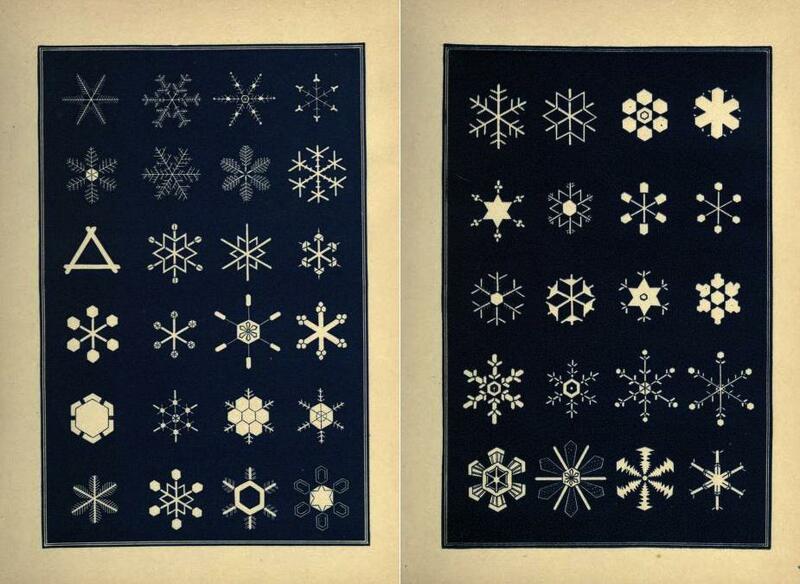 These navy-and-white snowflake graphics illustrated a book that was a compendium of republished writings about snow. In poetry and prose, the authors celebrated snowfall as a sign of God’s mercy, genius, and design. In this, they echoed a widespread Victorian tendency to see confirmation of religious beliefs in the works of nature. 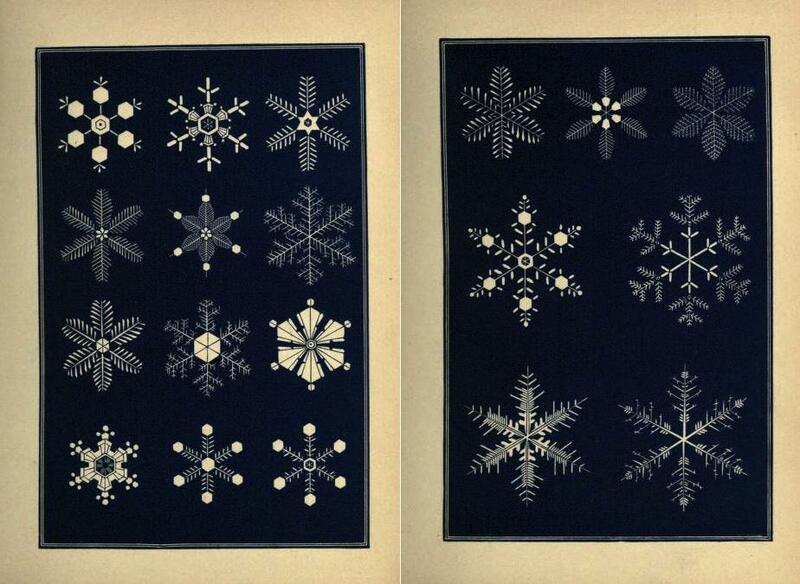 In later years, investigators would make photographs of snowflakes using microscopes. Vermont farmer Wilson Bentley did this over decades, Keith C. Heidorn explains elsewhere on the Public Domain Review, finding the subject so fascinating that he dedicated all of his free time to the effort. 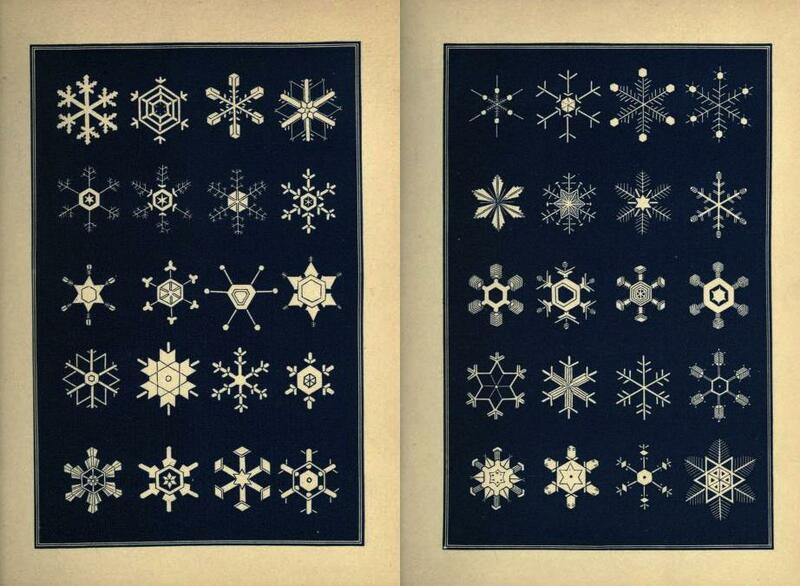 Snow-Flakes: A Chapter From the Book of Nature, published by the American Tract Society, 1863.